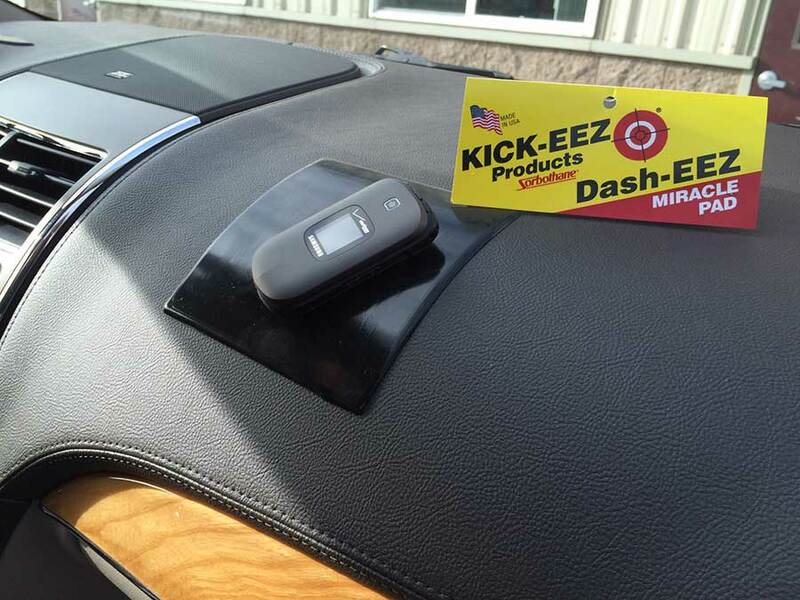 To use, simply place the DASH-EEZ where you want it on the dash of your vehicle and place your binoculars, cell phone, etc., on the “miracle pad.” Your item will “miraculously” stay in place until you remove it. 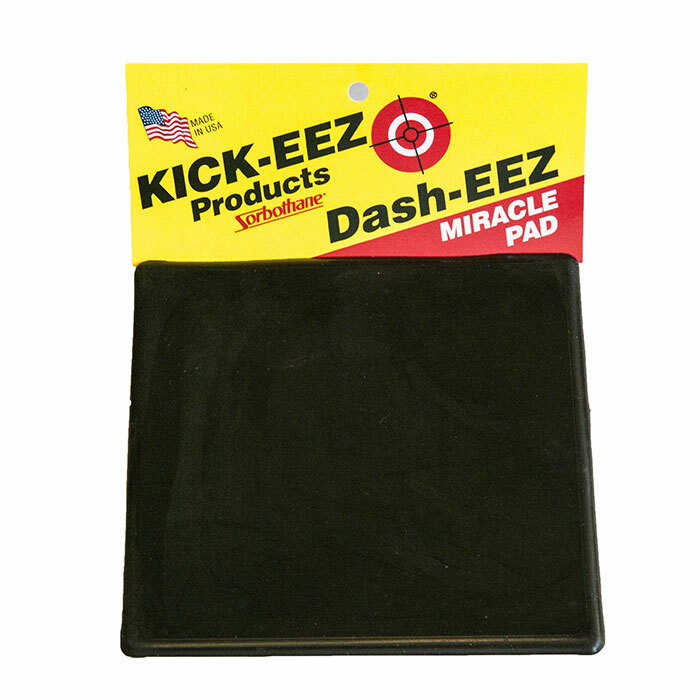 The DASH-EEZ is made of Sorbothane and is 5.9” x 5.9” in length and width and is 1/8” thick. This “miracle pad” was created with sportsmen in mind to keep their binoculars from slipping off the dash of their vehicles. 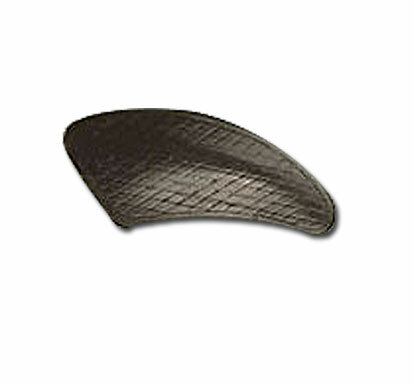 It is extremely flexible so will conform to any dash contour. 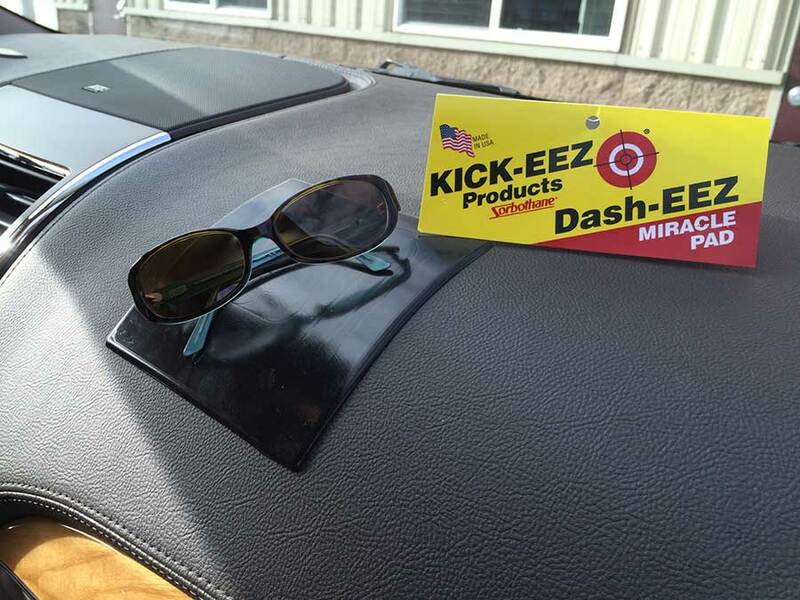 While the DASH-EEZ was designed with sportsmen in mind, it works equally well for cell phones, glasses, cameras, iPods or any item you want to prevent “slipping and sliding” off the dash of your vehicle. 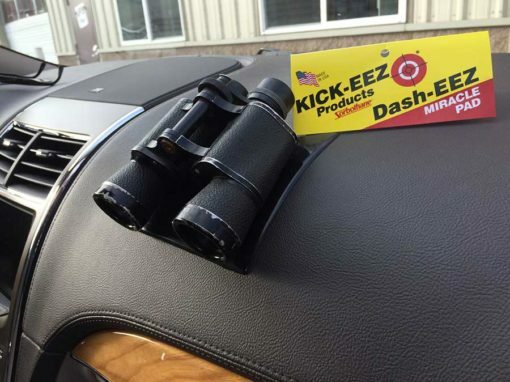 To use, simply place the DASH-EEZ where you want it on the dash of your vehicle and place your binoculars, cell phone, etc., on the “miracle pad.” Your item will “miraculously” stay in place until you remove it.